Chronic Obstructive Pulmonary Diseases: Journal of the COPD Foundation is an open access, peer-reviewed medical/scientific journal dedicated to publishing original research, reviews, and communications related to COPD. Articles are published online as quickly as possible following peer review and editorial acceptance and then aggregated into quarterly issues, and made available to the COPD medical/research community at no charge. The Journal is indexed by PubMed Central, Scopus and Web of Science. We evaluated whether visiting a primary care provider (PCP) or medical subspecialist within 10 days of discharge reduces 30-day readmissions following hospitalization for acute exacerbation of chronic obstructive pulmonary disease (AECOPD). Data were retrospectively collected from electronic health records for AECOPD-related hospitalizations at an urban, academic medical center for patients 40 years of age or older between June 2011 and June 2016. Primary outcome was probability of all-cause 30-day readmission. Follow-up was defined as visiting a PCP or any medical subspecialist within 10 days of discharge. Generalized linear mixed models were used to examine the association between hospital readmissions and a visit to a PCP or medical subspecialist. Of the 2653 hospital discharges, 17.6% (n=468) had a 30-day readmission. Follow-up did not affect 30-day readmission risk (adjusted odds ratio 1.14; 95% confidence interval 0.89, 1.47). Prompt follow-up is not associated with a reduced risk of 30-day readmission following AECOPD, highlighting the need for a comprehensive approach to chronic obstructive pulmonary disease (COPD). Research Department, COPD Foundation, Inc., Washington, D.C.
College of Public Health, University of Kentucky Lexington, and Consultant, COPD Foundation, Inc.
Community acquired pneumonia (CAP) carries high morbidity, mortality, and economic burden, which is even higher in adults diagnosed with chronic obstructive pulmonary disease (COPD). While several studies have assessed the clinical burden and mortality risk of CAP and COPD, very few studies focus on CAP burden from a COPD patient perspective. 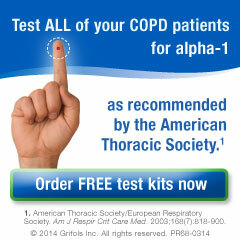 Individuals recently diagnosed with CAP and with pre-existing COPD were recruited through the COPD Foundation. The CAP Burden of Illness Questionnaire (CAP-BIQ), a content validated questionnaire assessing CAP symptomatology, duration of symptoms and CAP impact on work, activities and family, was administered at baseline and at 30-days follow-up. Of the 490 participants recruited, 481 had data sufficient for analysis. The prevalence of respiratory-related symptoms was very high (>90%) at the time of diagnosis with other generalized symptoms such as fatigue, trouble sleeping, headaches and confusion present in more than 60% of participants. Mean duration of symptoms varied from approximately 2 weeks for headaches and fever to more than a month for fatigue, wheezing, dyspnea, and cough. Employed participants missed an average of 21 days of work and those not employed missed 36 days of usual activities. Over 84% required help from family, friends or care givers. CAP is a serious and burdensome condition for people with COPD, a condition that can impair activities for weeks, frequently requires care from family or friends, and includes lingering symptoms. The patient-reported impact of CAP reported in this study underscores the need for prevention strategies in this population. Objective: This study compares and contrasts the clinical features of non-cystic fibrosis bronchiectasis with 3 uncommon disorders known to be associated with bronchiectasis but with distinctly different underlying defined pathophysiologic derangements, namely severe alpha-1 antitrypsin deficiency (AATD), common variable immunodeficiency (CVI) and primary ciliary dyskinesia (PCD). Methods: The Bronchiectasis Research Registry provides a central database for studying patients with non-cystic fibrosis bronchiectasis. This report consists of information from 13 U.S. sites pertaining to the 3 study diagnoses. Patients with AATD (SZ and ZZ phenotypes only), CVI (patients with IgG≤500), PCD (history of physician diagnosed Kartagener’s syndrome or PCD), and patients with confirmed absence of the above 3 diagnoses (idiopathic control group) were included in the study. Descriptive statistics were computed for the main demographic and clinical characteristics of the sample stratified by group. Values between the groups were compared using Kruskal-Wallis test, and Chi-squared/ Fisher’s exact tests respectively. The significance level was set at 0.05. Software SAS 9.4 was used to perform the statistical analyses. Results: Of the 2170 participants in the database enrolled as of January 2017, 615 respondents had sufficient data and were included in the analyses. Patients with PCD (n=79, mean age 41.9 years [standard deviation (SD)=14.5]) were significantly younger than patients with AATD (n=58, mean age 66.9 [SD=10.7]), CVI (n=18, mean age 66.7 years [SD=10.5]) or the idiopathic group (n=460, mean age 64.2 [SD=15.9]), p<.0001. Compared to other groups, those with PCD had lower pulmonary function (forced expiratory volume in 1 second [FEV1] forced vital capacity [FVC] and FEV1/FVC ratio) (p<0.01), and a greater proportion of them reported having exacerbations and/or hospitalizations in the past 2 years (p<0.01). Overall, Pseudomonas aeruginosa and Staphylococcus aureus were the organisms most commonly isolated from sputum. Mycobacterial infection was most commonly reported in those with AATD. Conclusions: This report from the U.S. Bronchiectasis Research Registry compares and contrasts differences in the clinical features of patients suffering from 3 rare conditions, with different underlying causes, to those without. The group with PCD had more symptoms, greater morbidity, lower lung function and more commonly were infected by Pseudomonas aeruginosa. 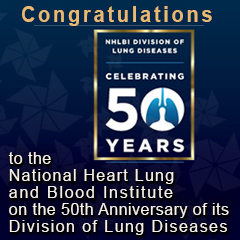 A greater percentage of those with AATD reported mycobacterial lung involvement. 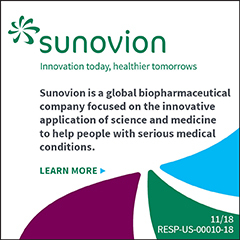 Background: Revefenacin, a novel, lung-selective, long-acting muscarinic antagonist, has been developed for nebulized therapy for chronic obstructive pulmonary disease (COPD). We present the results of replicate Phase III efficacy and safety studies of revefenacin in patients with moderate to very severe COPD. Methods: In 2 double-blind, parallel-group studies, (Study 0126 and Study 0127), patients ≥ 40 years old were randomized to revefenacin 88 μg, revefenacin 175 μg or placebo administered once daily by standard jet nebulizer for 12 weeks. The primary endpoint was 24-hour trough forced expiratory volume in 1 second (FEV1) on day 85. Secondary efficacy endpoints included overall treatment effect (OTE) on trough FEV1 and peak FEV1 (0-2 hours after first dose). Safety assessments included treatment-emergent adverse events. Results: At day 85, revefenacin 88 µg and 175 µg improved trough FEV1 versus placebo in Study 0126 (by 79 mL [p=0.0003] and 146 mL [p<0.0001]) and Study 0127 (by 160 mL and 147 mL; both p<0.0001). Compared with placebo, pooled data of revefenacin 88 µg and 175 µg increased OTE trough FEV1 by 115 mL and 142 mL (both p<0.001) and increased peak FEV1 by 127 mL and 129 mL (both p<0.0001). Revefenacin 175 µg demonstrated greater improvements in FEV1 in concomitant long-acting beta2-agonist patients and in more severe patients than revefenacin 88 µg. Adverse events were minor. Conclusions: Revefenacin, administered once daily for 12 weeks to patients with moderate to very severe COPD, demonstrated clinically significant improvements in trough FEV1 and OTE FEV1. Revefenacin was generally well tolerated with no major safety concerns. Beyond respiratory impairment, patients with chronic obstructive pulmonary disease (COPD) often suffer from comorbidities which are associated with worse health status, higher health care costs and worse prognosis. Reported prevalences of comorbidities largely differ between studies which might be explained by different assessment methods (objective assessment, self-reported assessment, or assessment by medical records), heterogeneous study populations, inappropriate control groups, incomparable methodologies, etc. This narrative review demonstrates and further evaluates the variability in prevalence of several comorbidities in patients with COPD and control individuals and discusses several shortcomings and pitfalls which need to be considered when interpreting comorbidity data. Like in other chronic organ diseases, the accurate diagnosis and integrated management of comorbidities is a key for outcome in COPD. This review highlights that there is a need to move from the starting point of an established index disease towards the concept of the development of multimorbidity in the elderly including COPD as an important and highly prevalent pulmonary component. Chronic Bronchitis: Where Are We Now? Click to read Chronic Bronchitis: Where Are We Now? Journal Club - Bronchiectasis/COPD Overlap: Syndrome Versus Treatable Trait? 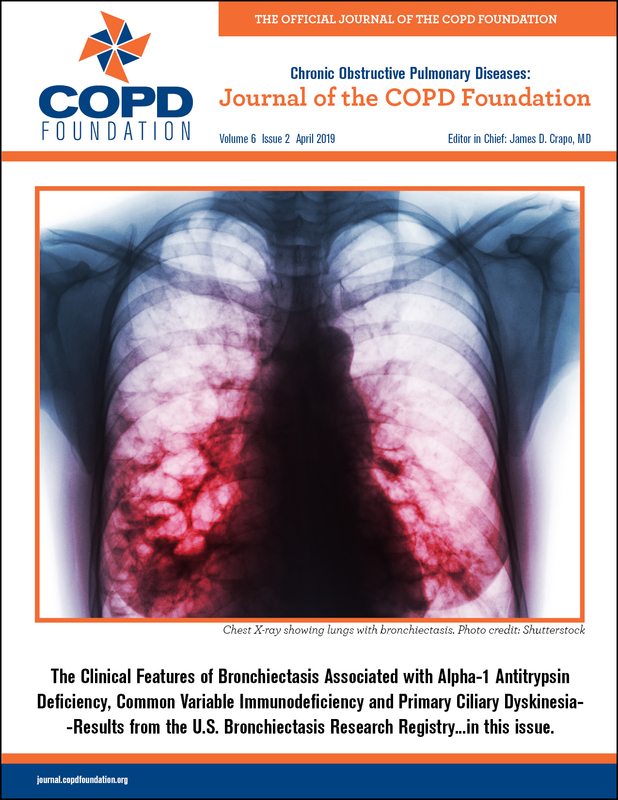 Click to read Journal Club - Bronchiectasis/COPD Overlap: Syndrome Versus Treatable Trait?